As 2013 slowly cranks into gear, Nintendo of Europe has released details of what Europeans can expect in this week's download update. It's another week with no additions on the Wii U eShop, but the 3DS, DSi and Wii equivalents all have some content to consider. Is any of it going to get your year started with a bang? Let's find out. Touch Battle Tanks 3D (Agetec, €4.99 / £4.49) — This is a concept that promises much fun, with the simple task of rushing around 70 levels blowing up everything in sight. This one already hit North American in summer 2012, and it became clear that this attempt at a fun action title mis-fired, as our Touch Battle Tanks 3D review explained. Ghosts 'n Goblins (Capcom, €4.99 / £4.49) — Appropriately arriving in time for Halloween across the pond, this is a rather challenging — OK, very challenging — NES action platformer, now available on the go and with valuable save state functionality. Two hits and you're dead, and there are plenty of monsters more than happy to help you on your way to the game over screen. 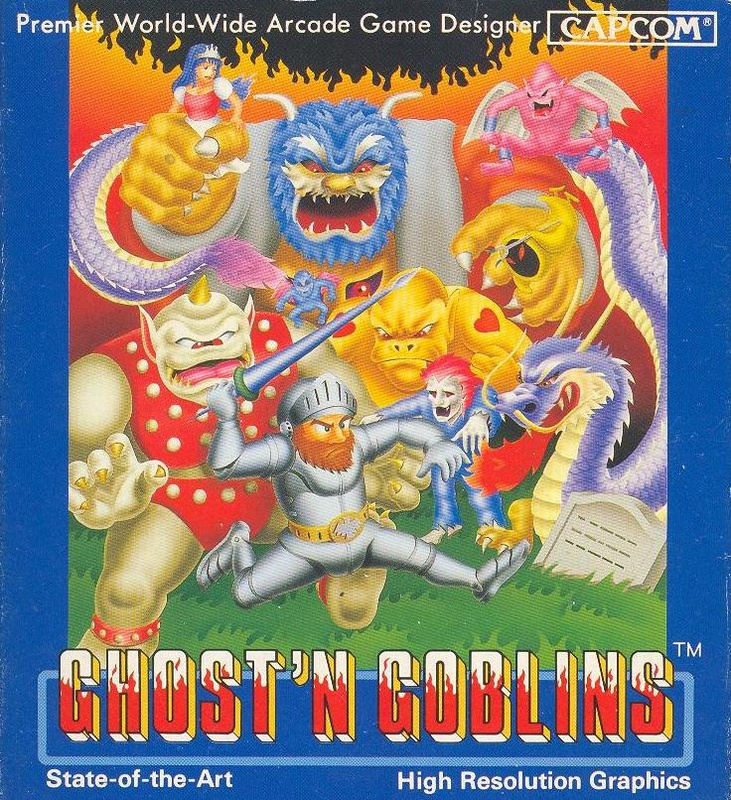 It's long in the tooth now, but we felt that it had aged well for gamers brave enough in our Ghosts 'n Goblins review. New Art Academy (Nintendo, €1.99 / £1.79 per pack) — Two new lesson packs are available to purchase within the game. Crystal Adventure (CIRCLE Entertainment, 200 Nintendo Points) — The DSiWare service has seen its fair share of top-down RPG experiences that attempt to harken back to the days of 8 and 16-bit adventures, and this is a budget entry that attempts to do just that. Unfortunately the lack of any storytelling, frustrating design decisions and phoned-in automatic combat meant that we had little positive to say in our Crystal Adventure review. Vampire Crystals (Shanblue Interactive, 1000 Nintendo Points) — While the title may suggest another RPG destined for mediocrity, it transpires that this is a twin-stick — or stick and pointer if you prefer — shooter, which delivers intense action gameplay for single players, local co-op as well as some competitive multiplayer. Despite some difficulty spikes it's a well-crafted and lovingly presented title, earning a strong recommendation in our Vampire Crystals review. So that's it for this week, Europe. Three platforms catered for with a mixture of the old and new, with two action titles standing out. Let us know how you'll be spending your funds in the poll and comments section below. Still waiting for Zen Pinball. Vampire Crystals WiiWare for me. Are we only getting one Wii U eShop game in January (The Cave) then? Nothing for Wii U is a bit strange now. I don't own the system or plan on buying one but I thought it'd be better supported than this. The Wii was getting 3 Virtual Console games a week at this point. I wonder what they're playing at. No Wii U again! Sonic Racing Demo? Zen Pinball? Trine 2 Update? Also, combine the Wii and Wii U eShops please. I've got 90 slots on my Wii U Menu, i'd rather have all my digital home console downloads in one place, and so would everyone else. Also, NO virtual console of any kind on the Wii U eShop (because its all on Wii) isn't an acceptable situation for the future. If Nintendo continue to support the venture, hiding it away in the Wii sub-menu is hardly good sense. 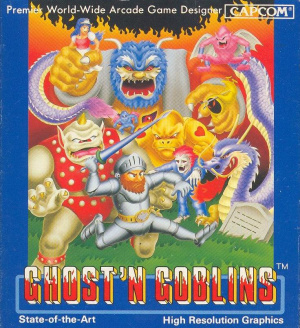 Good about Ghosts 'n Goblins! No Wii U? WTF? At least put the Virtual Console on the Wii U eShop as well. Still waiting for Nano Assault EX that was planned for december. What's wrong Shin'en?? Also, we need new demos for the Wii U eShop! Yes. "Vampire Crystals" for the Wii for me. No WiiU support? Hmm, I don't have a WiiU or plan to buy one, so I really don't care. I don't know who is to blame, Nicalis or NoE. I am sick of this, we never got the DSiWare version for crying out loud! The moment VC hits Wii U, that'll be the moment I buy a good amount of eShop prepaid cards. I don't understand why they don't integrate the virtual console in the wii u eshop. I bought a wii u... but now i'm a bit doubtfull about my investment. There's nothing for me this week... because I'm an American! Derp! Nothing for me, GnG is interesting but I prefer some eshop titles I haven't got yet or Kirby's Dream Land 2. Ghost 'n Goblins on the little screen with restore points! OK, I'm not usually one to complain, but I'd really like an update to the Wii U eShop right about now. Or, like everyone else has said, at least move the VC over to the eShop. I'm not stocking up on Wii points only for them not to work in the eShop later on. I'm guessing Nintendo thinks they have time on the Wii U eshop because a bunch of people just got their systems for Christmas. As for the people that got it day one maybe they should've staggered all those eshop games instead of offering them up day one to please all the day one buyers. I guess Nintendo just can't win no matter what they do. If they had done that everyone would've complained where are all the eshop games they promised day one!! I thought people learned not to be a day one buyer after the 3DS fiasco. Guess some people are still suckers for punishment and disappointment. I mean, did you guys already beat the launch games?! People like variety and the freedom of choice. I don't have a Wii U because there are not enough games on the system yet that I like. So far, I am only interested in Mario that has been released. But I am not going to go buy a new console just for Mario. Nor would I want to play Mario all day every day until I beat it or another game comes out that I want. I may well enjoy Scribblenauts but I have the first two and if I had the console, the Wii U version would be a game I would buy just for the sake of buying a game even though I don't really want it or need it. GnG is hard but not impossible. I'm not bothered about new content in the eShop, but you'd think we'd be seeing more disc downloads at least - batman was a download title at launch in North America so what gives? Farsight is hoping to beat Zen to the eShop in January, so there's loads of pinball goodness coming our way - hoorah! Capcom are dead against releasing late ports to the Wii U, but they're happy to re-release a Wii VC game on the 3DS . Also, nothing for me. I used to be so excited for the download update on this site, but everything seems to be either casual wiiware waggle games, yet another NeoGeo fighting game, an overpriced Nintendo retail-download or a re-release of a WiiVC game for the 3DS. What you got against NeoGeo fighting games? They're the best that the 90s had to offer that aren't from Capcom. And its not as if they all play alike either. I'm still waiting upon specific games like Waku Waku 7. So is ANZ getting Trine 2 yet, or do we have to all bugger around self-defeatingly switching regions to get this? I might try a few one day, but I've never really been into fighting games. @Kifa Nano assault slid into early 2013. It was in the final stages of approval at Nintendo and I heard that I few days ago. Keep in mind there was a Wii U update last week, even if it was only one retail download, and it wasn't included in the Nintendo Download update. It's entirely possible the same could happen this week. Europeans have Halloween in January? 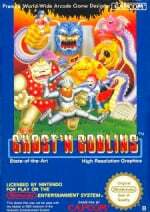 The Ghosts and Goblins description says, "Appropriately arriving in time for Halloween across the pond..."
Yes, I noticed this too. I don't know where the Nintendo Life staff thinks "across the pond" is. @RupeeClock Nicalis hates Europe I assume. Yeesh, I thought NOA were a buncha slackers. I guess Nintendo in general is slacking if it's outside Japan. I mean, that makes sense, but they could put more effort into worldwide releases. @UnseatingKDawg If you really wanna insist on calling this slacking, the Wii U eshop in Japan, as far as I can tell, consists solely of downloadable retail games. They don't have anything truly exclusive to Wii U shop yet. If the EU update is this lackluster, I am dreading the US update. If I lived in EU I'd get Ghosts n' Goblins, but then I already have it on PSP so I wouldn't need two copies of the same game. Vampire crystals looks fun so I'll probably get that at some point. @Bass_X0 There is WAY, WAY too many of them coming out every two weeks... Shock troopers 2 is different, where's that in europe? Where Crystalis on NES? The Point is, back in the original days, there was only 1 KOF per year, but on the VC there's been about 10 fighting games released last year. Some are very great (Last blade 2 and Samurai showdown IV), but it also causes for burnouts. I want more demos for WiiU. I love all the negativity here! No, wait, I meant I hate it. Be patient people, Nintendo said previously that the VC service is being worked on for the Wii U with possible GamePad support, which would be awesome. The Wii U is in it's infancy, any significant changes like this will likely take several months. Granted I would have preferred it at launch, however it wasn't there, so I don't see the point in complaining about it. It will come eventually. And when it does, it will be amazing. But for now, let's look forward to Nintendo TVii. Oh ghostn goblins...I loved that game but I really wanted something for Wii U. Australians don't even have Trine 2 yet. Idk, Vampire Crystals seems to be a bit on the pricy side. 8€ would be more appropriate imo. If i could play it solo on the 3DS and have multiplayer action on the Wii it'd be a sure buy though. @Bass_X0 Stating the obvious here, but if nobody would buy consoles at launch there won't be any console to buy in the future. So thanks the 'early adopters' if you can buy your consoles a year or two down the line. Having said that, I too hate the lack of DD for the U, and I sure hope they'll release soon an update to those VERY annoying freezes. Maybe that's why everything is quieter, they're working on that. Maybe.